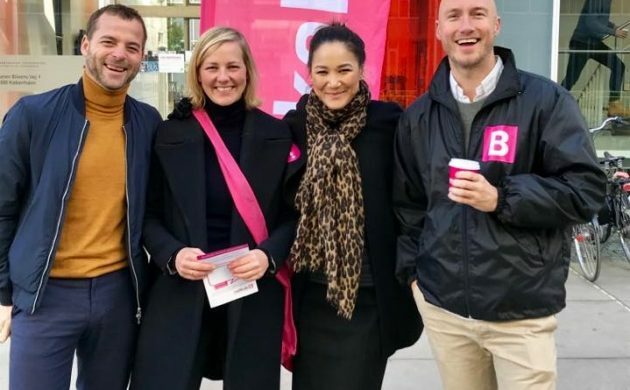 Anna Mee Allerslev, the deputy mayor of employment and integration in Copenhagen, has announced her withdrawal from the upcoming local elections on the heels of a number of contentious issues that have been brought to light in recent weeks. 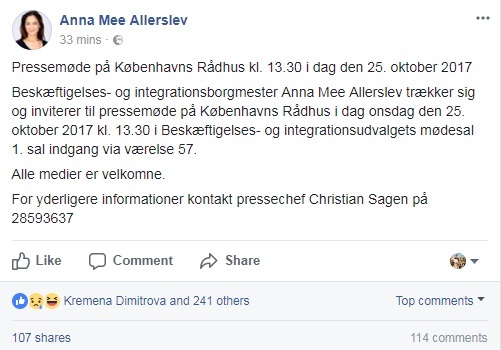 Allerslev, who was projected to be Radikale party’s spearhead at the forthcoming elections, wrote in a short message on Facebook that she would further explain her decision at a press conference at 13:30 today. The latest case, which seems to be the straw that broke the camel’s back, concerns Allerslev reaching out to the municipal authorities to help push through a building permit for a friend. The friend was granted the permit just days after Allerslev’s inquiry. That revelation prompted Radikale stalwart and regional council member Charlotte Fischer to demand Allerslev to immediately stand down from her position as deputy mayor. “A mayor must never contact an official in order to promote a specific case that they also have a private connection to,” Fischer told TV2 News this morning. The beleaguered deputy mayor hit the front pages for the first time a few weeks ago when it emerged she had borrowed the main room at City Hall for her wedding without paying for it. She later forked out 65,000 kroner in a bid to make amends, but the media, particularly BT tabloid, continued its relentless coverage, reporting on an incident three years ago when she held her 30th birthday party at another venue free of charge. The local elections will be held on November 21.